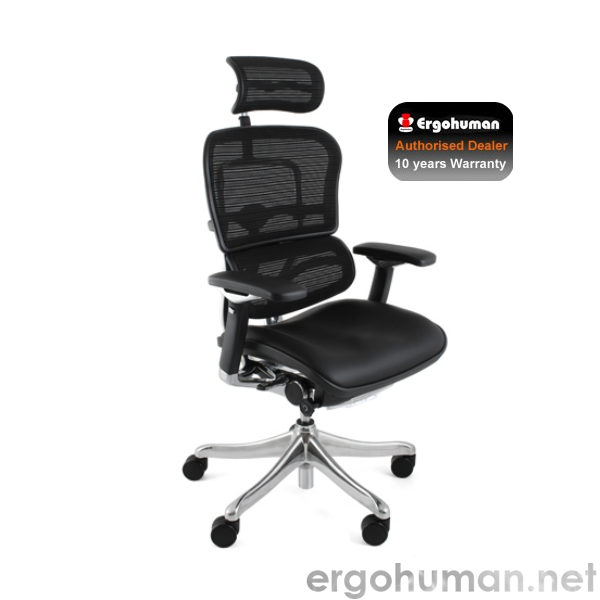 The Ergohuman Nefil office chair’s streamlined curves deliver impact, whether upholstered with mesh, leather or a combination of the two. 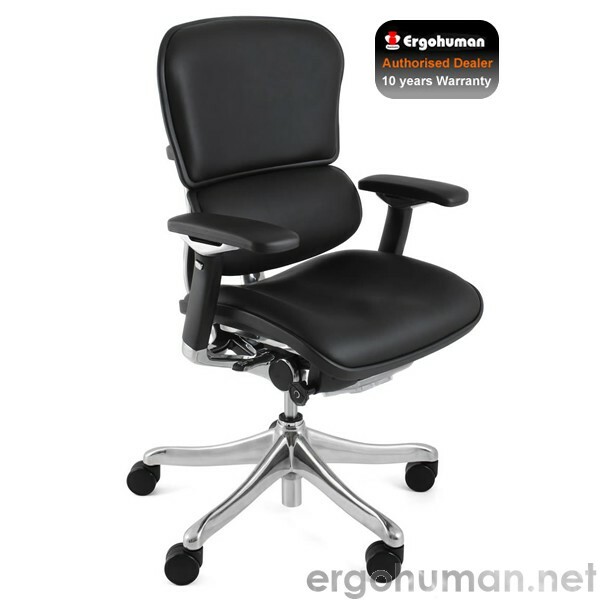 The frame is a perfect balance of polished aluminium and black. 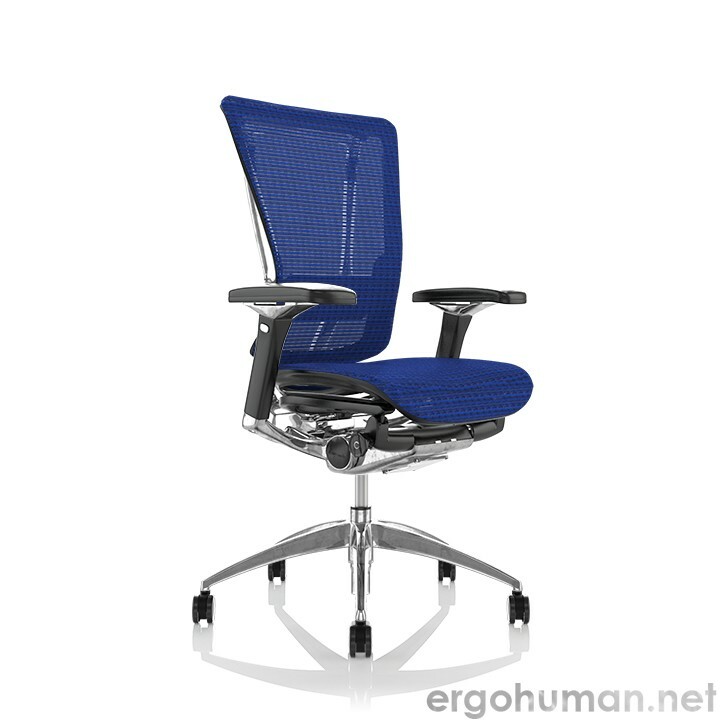 An extensive selection of soft and durable mesh, colourful fabrics and leather allows a variety of colour combinations. 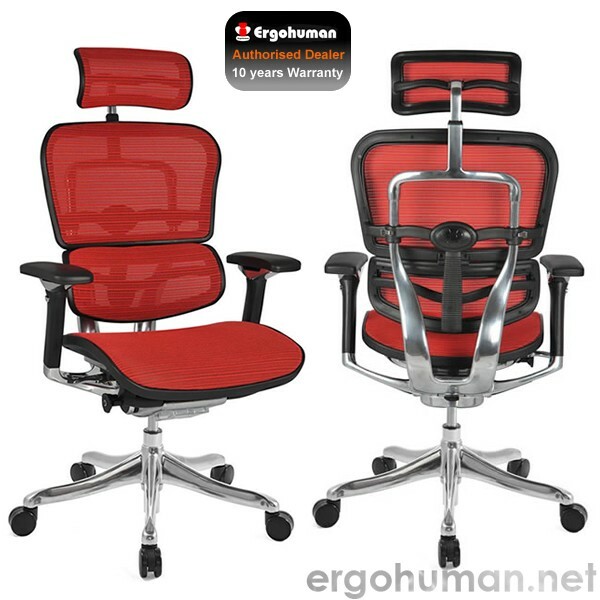 This stylish chair offers ergonomic comfort, second to none – the perfect example of form and function in complete harmony. 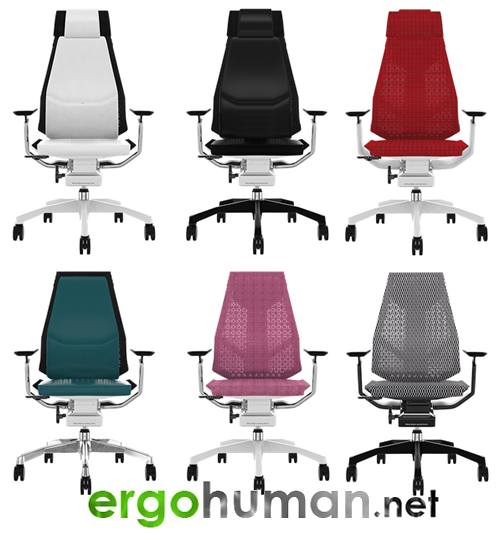 I’ve looked at the Ergohuman Plus Luxury, the Mirus Chair , the Enjoy Chair and the Nefil Chair. 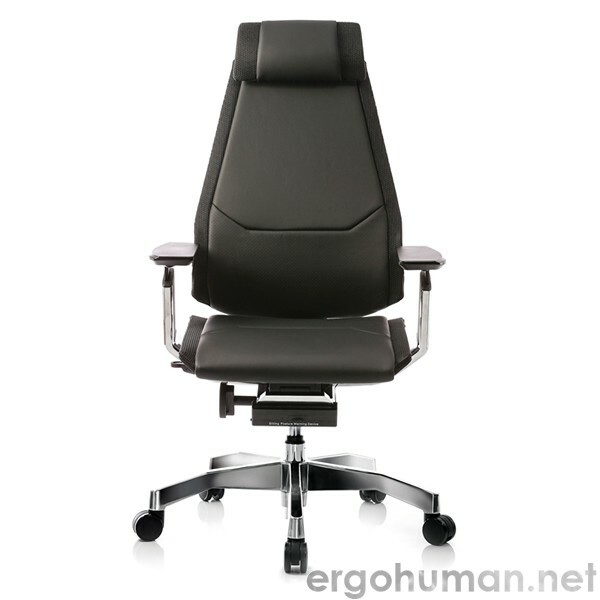 They all gave me the lumbar support panel, the adjustable arm rests, the height adjustment, the tilt and all can have headrests fitted. 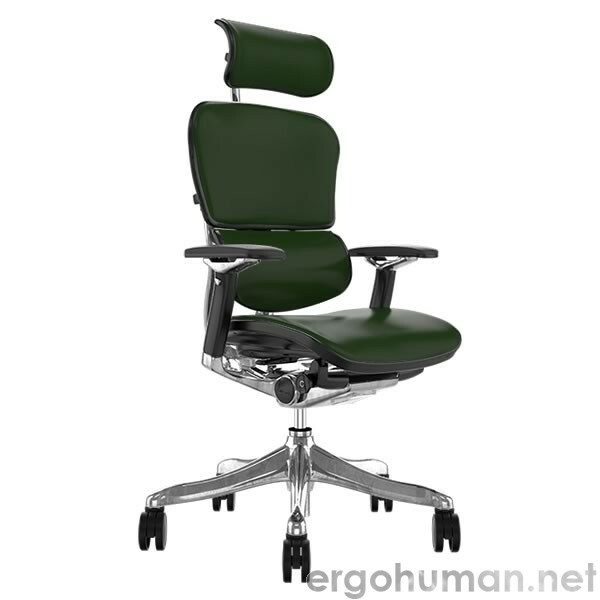 What it boiled down to for me was did I feel good in the chair and did its overall design attract me? 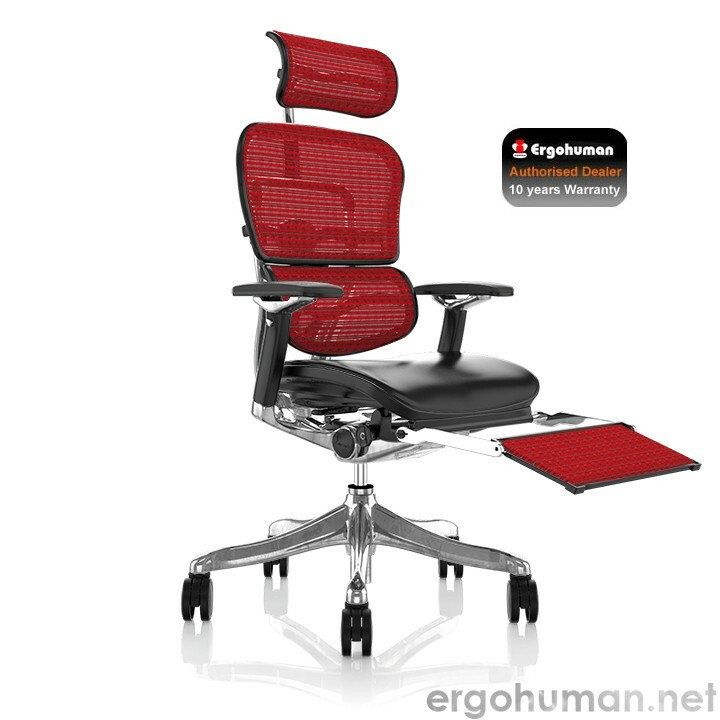 It seems strange to say that a chair can be attractive but they can, can’t they? Otherwise, when we go to buy a dining room table and chairs, why do we spend so much time trying to get the ones that suit us most? 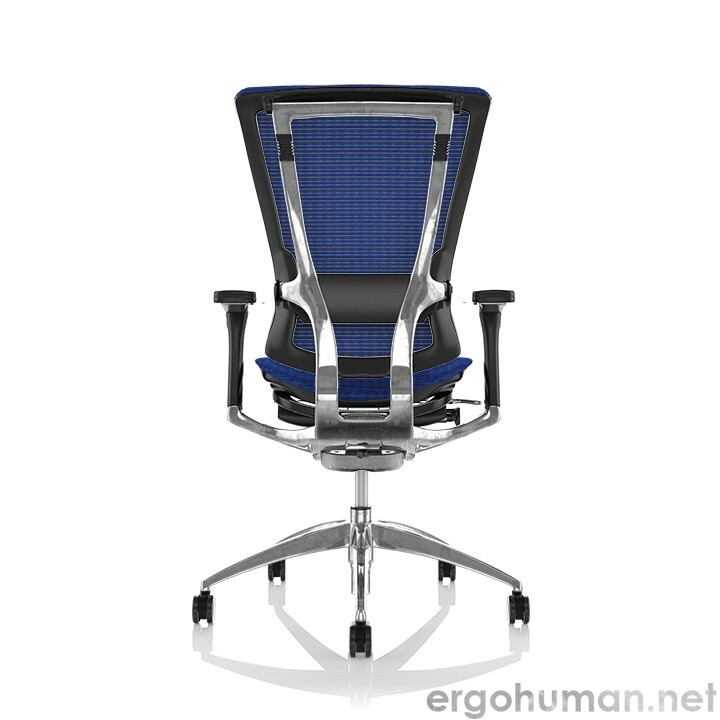 Getting back to those Ergohuman office chairs, I knew I was always going to choose mesh upholstery, as leather takes a lot of care, as does run-of-the-mill fabric. 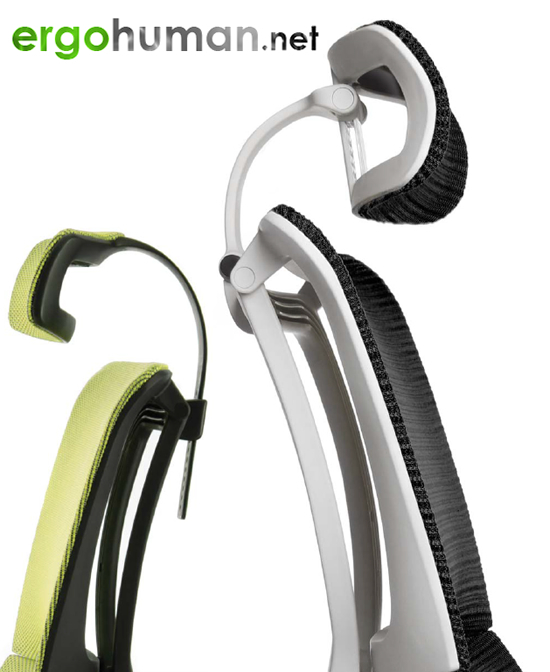 Mesh is breathable, it hugs you while you work (and who would say ‘no’ to that? 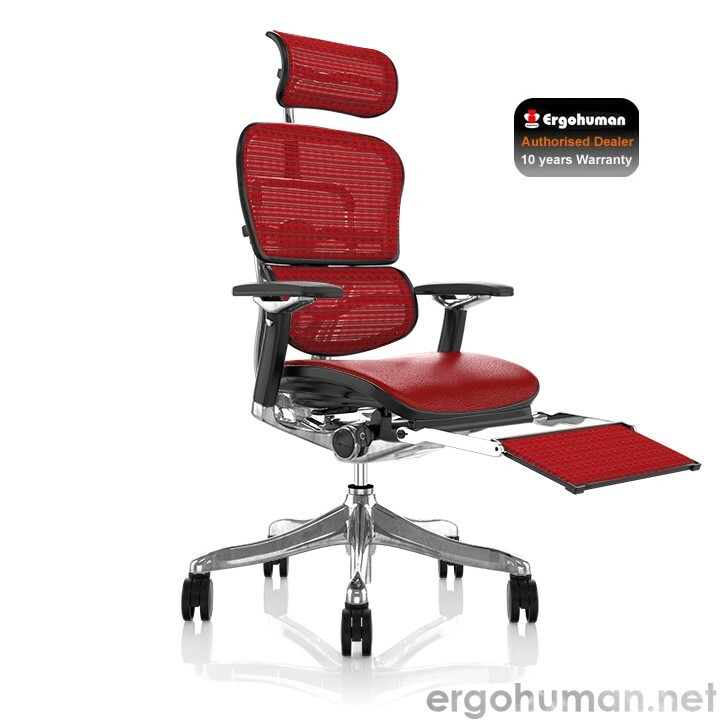 ), it’s easy to care for and it comes in the most beautiful range of colours. 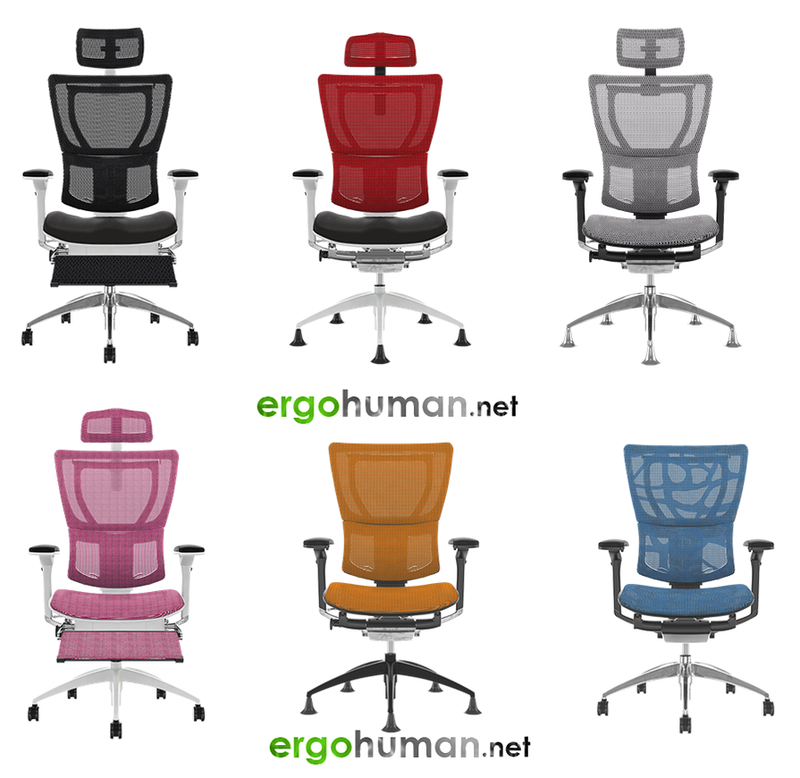 As well as the usual black or blue, the Ergohuman ergonomic office range of chairs come in red, orange, green, white, grey and burgundy. Some of those colours are warm (red, orange, green and burgundy), while others are cool (white, grey, black and blue). 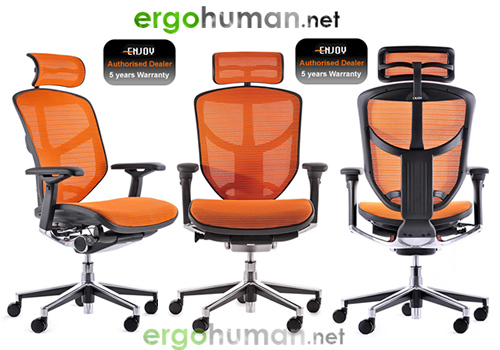 I chose the orange, as it gives me the feeling of warmth, comfort and energy. 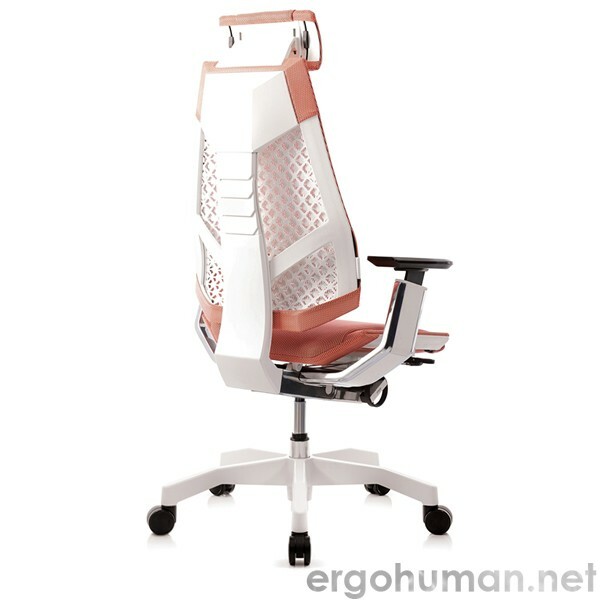 Orange also gives me the feeling of hope and a bright future so, while I’m sitting in my Ergohuman office chair, I’m feeling very good indeed. 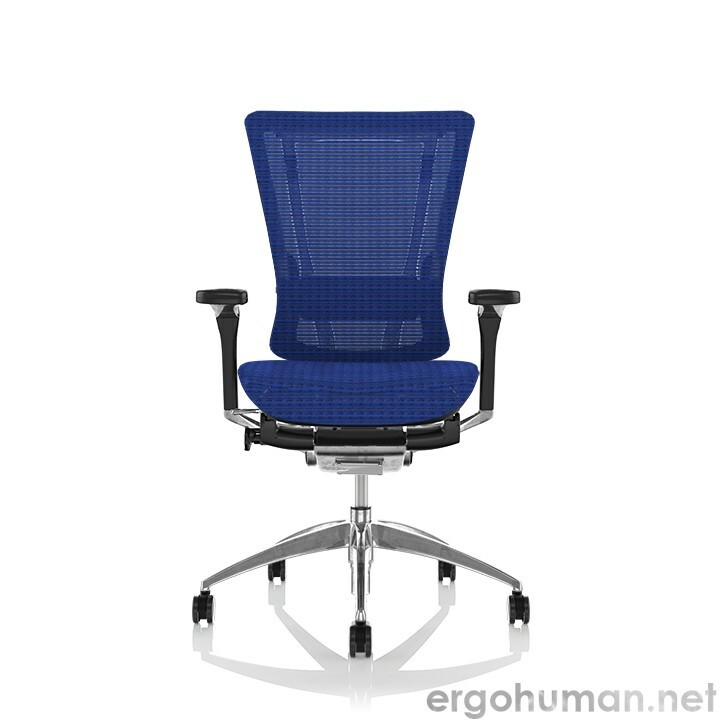 If my office chair was blue, I doubt I could perform, as the colour makes me feel both cold and sad. Strange but true. • They have very clever armrests, which can be positioned just how you like them, looking at forwards, backwards, closer to or further from the user’s body frame, as well as twisted on a diagonal angle. 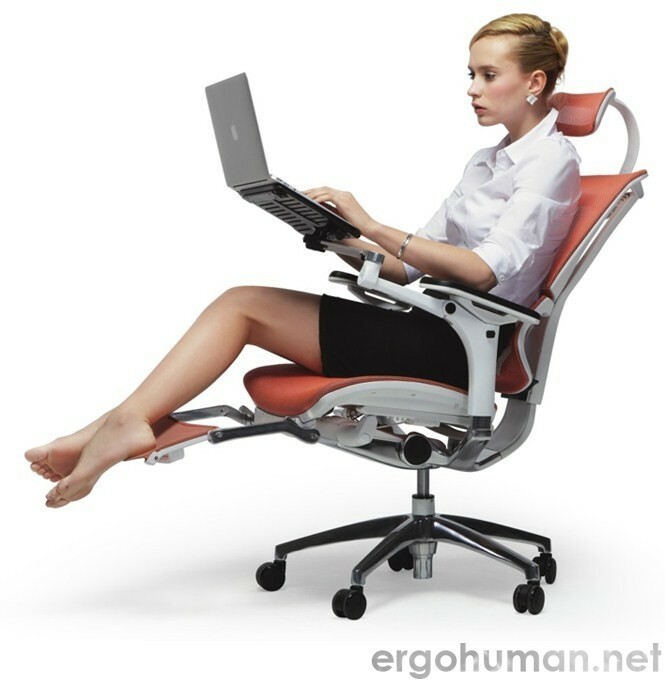 This diagonal angle suits me perfectly, as I don’t feel comfortable when my elbows are touching my sides, so using that diagonal tilt allows my elbows to be away from my body frame but still support my lower arms on their journey towards the keyboard. 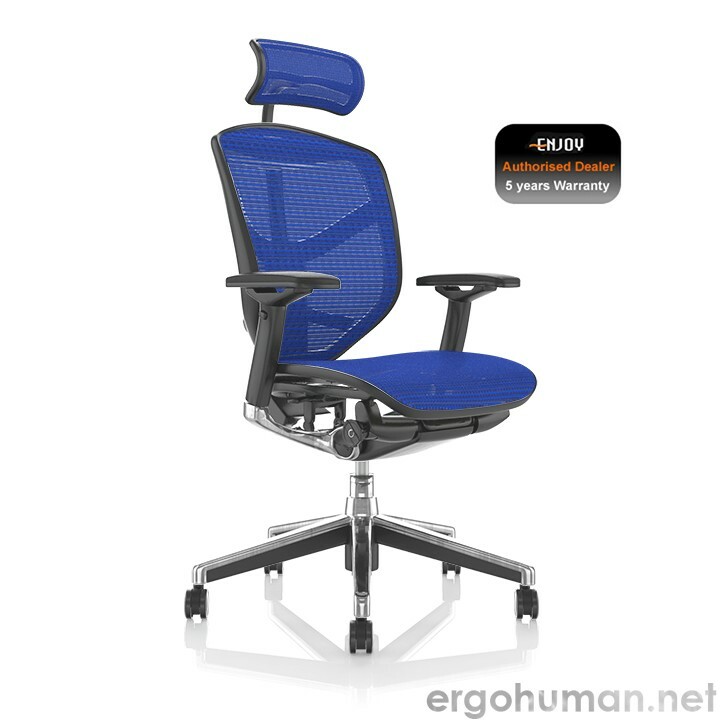 I could go on but, as you can see, both the Ergohuman and the Ergohuman Plus deliver extreme satisfaction to the person being lucky enough to have made all of the adjustments to their, and theirs only, ergonomic office chair. 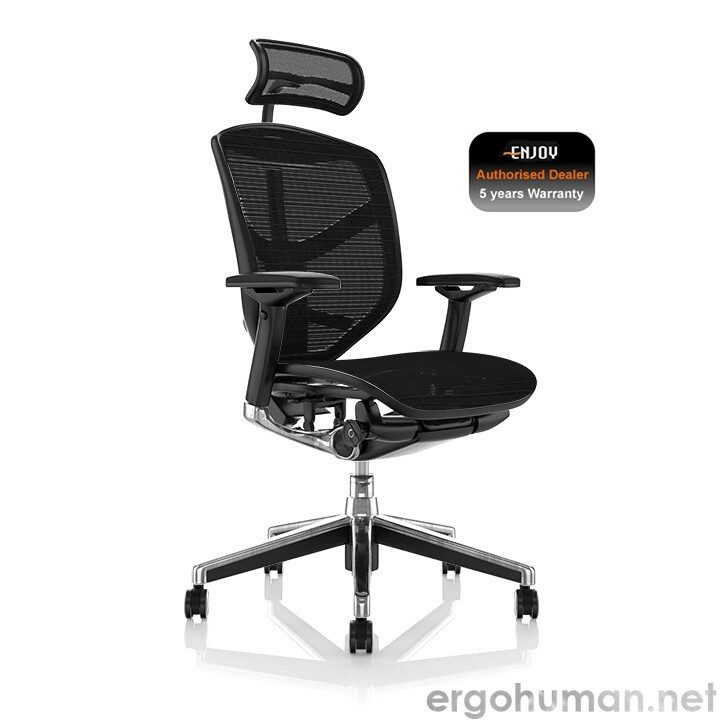 It’s probably a good starting point to think of the Ergohuman Plus as being more of a designer chair. So what enhancements does the Ergohuman Plus Luxury have? 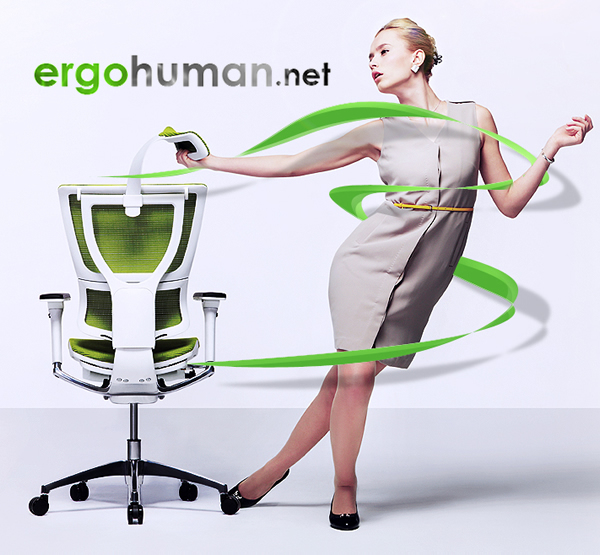 The Ergohuman Elite also known as Ergohuman – The Ergohuman chair is in the process of being renamed as the Ergohuman Elite chair. Please note that this is a name change only, both models are identical. 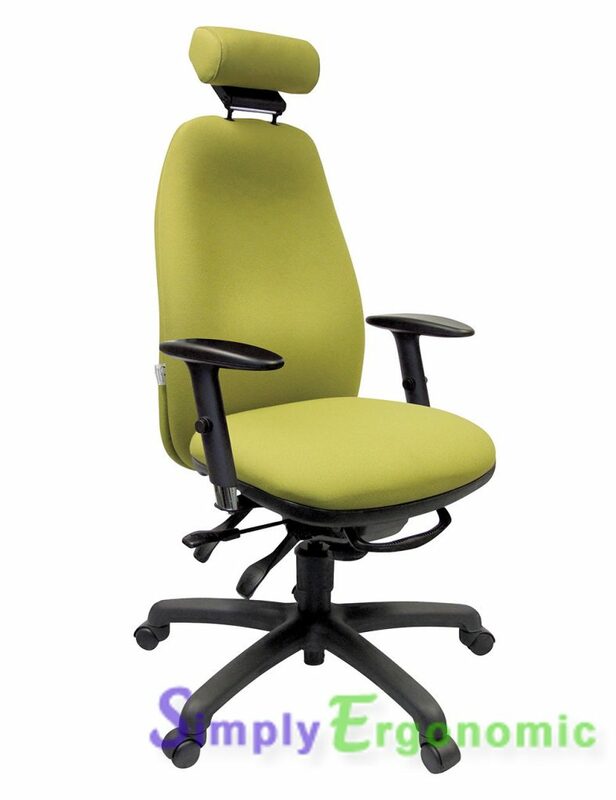 Mirus boasts the ingeniously simple single lever control which operates the three most frequently used chair functions – seat height, seat depth and back tilt can all be operated from a single point of contact. 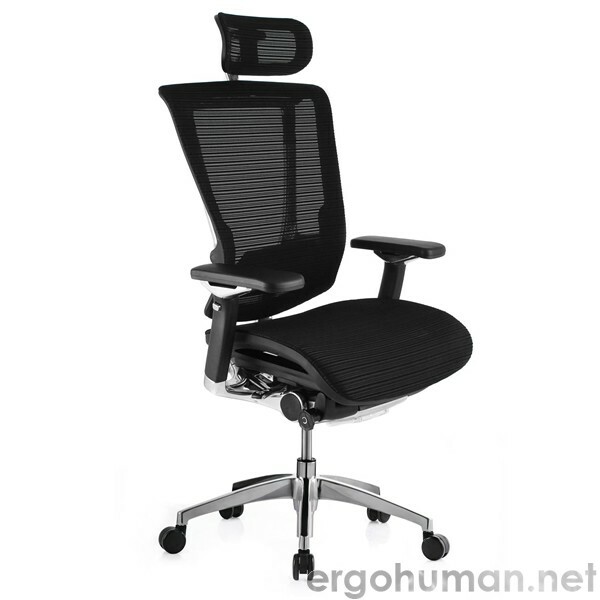 Available in a choice of aluminium white frame or aluminium black frame or all black frame with a range of mesh or fabric seats, the Mirus chair offers a limitless combination of aesthetics to suit your workspace. 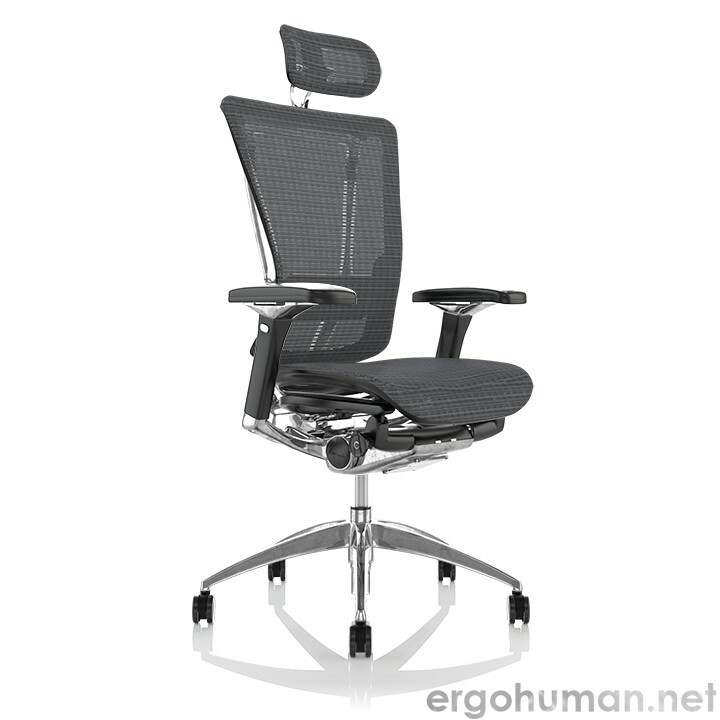 The design concept of the Mirus office chair also incorporates a multi-directional interactive neck roll which can help to relax tired neck and shoulder muscles. The 3-dimensional automatic flexible lumbar support system provides full support to the lumbar region with interactive and dynamic movement, intuitively adjusting to your needs. 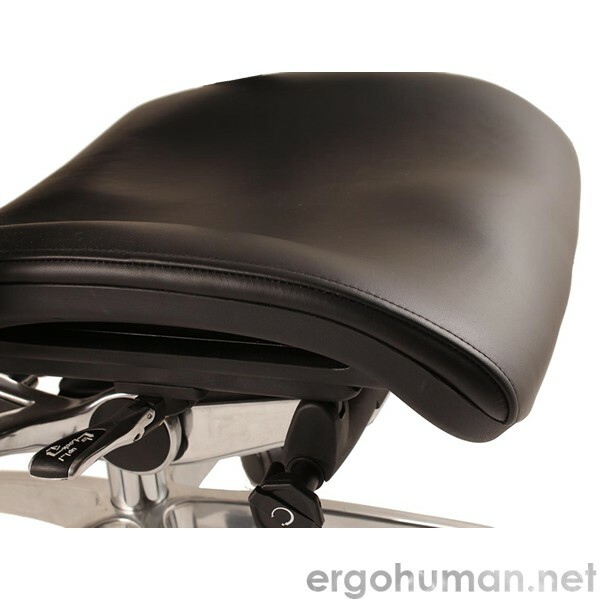 An optional ‘zero pressure’ seat cushion helps to distribute weight evenly across the seat pad to provide maximum comfort and support. 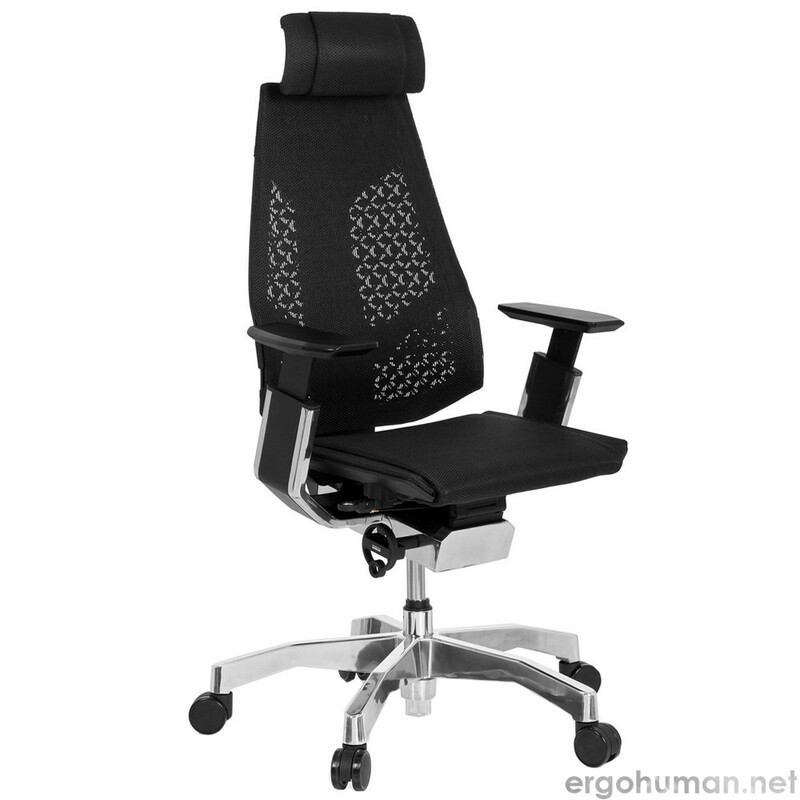 The Mirus’ seat is also available in mesh or leather. Me? 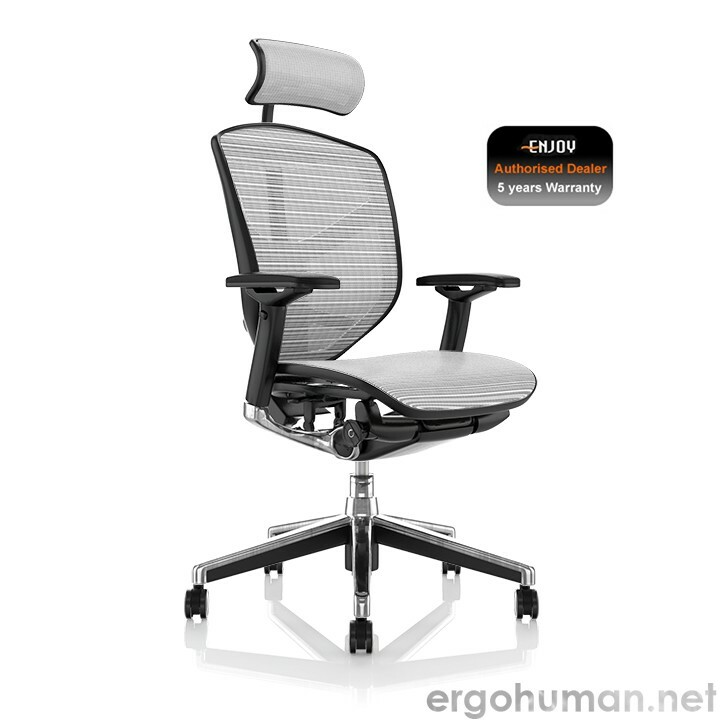 I’d probably choose another Ergohuman Mirus, once again with mesh upholstery. 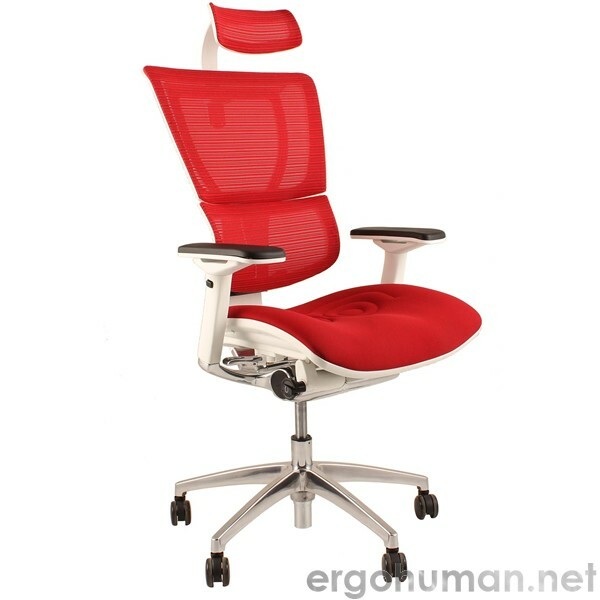 Now that I know this chair and its adjustments can meet my personal needs, I might look at other chairs in the Ergohuman range e.g. 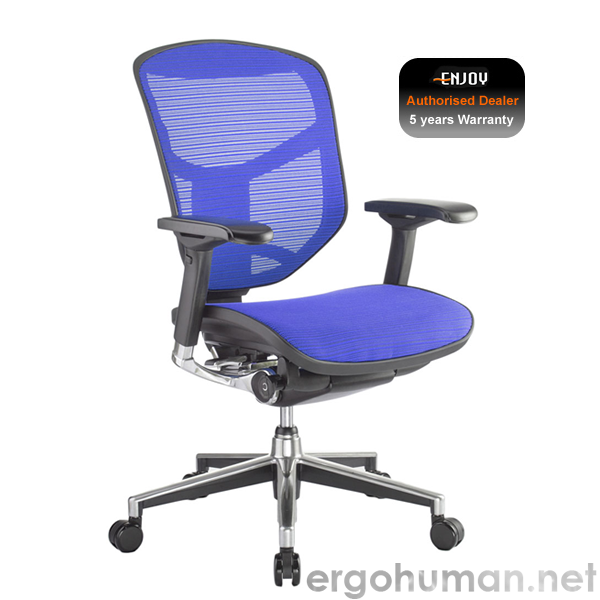 the Nefil Office Chair and the Ergohuman Plus Luxury, as this company, the supplier service and the delivery time, have already been proven to me. 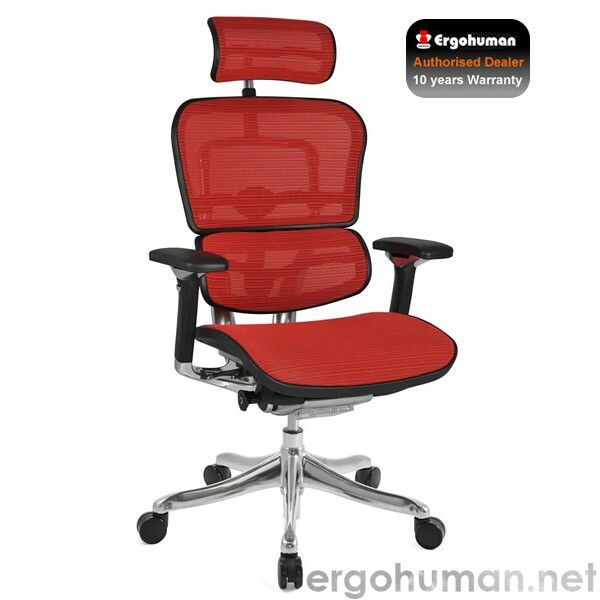 If I change anything, it would be the colour, as there’s a fantastic range to choose from. 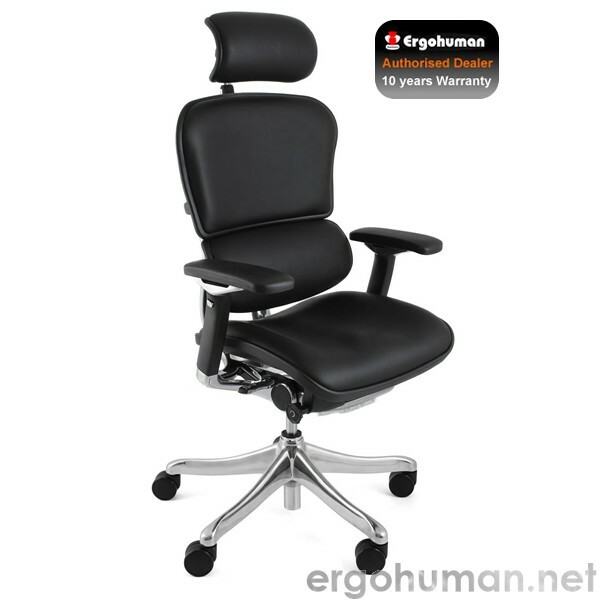 The Ergohuman Plus Luxury offers a unique ergonomic concept with ever more posture control and support to fit you like a glove : incorporating a synchro tilt mechanism with infinite lock, sliding seat, pneumatic height adjustment, automatic lumbar support system, seat tilt, Height and angle adjustable arms and headrest all in one very unique environmentally friendly 97% recyclable office chair.